In the course of our work, we often focus on the ways in which we can change the lives of our beneficiaries for the better. We love hearing stories about children, parents, etc. who have improved their lives with our help. 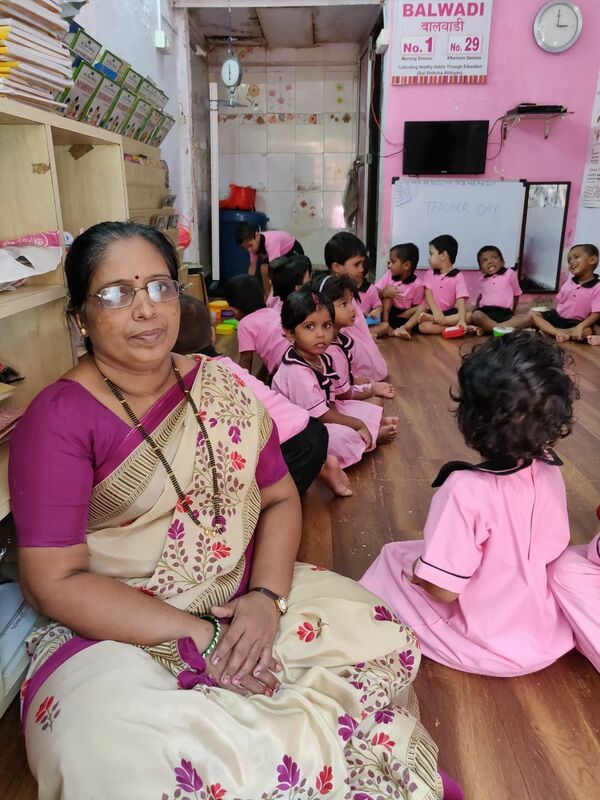 However, we sometimes come across stories of change from the very people who are working with us out there in the field—one such story is that of Swati Kadam, a teacher at our preschool in Suryanagar. 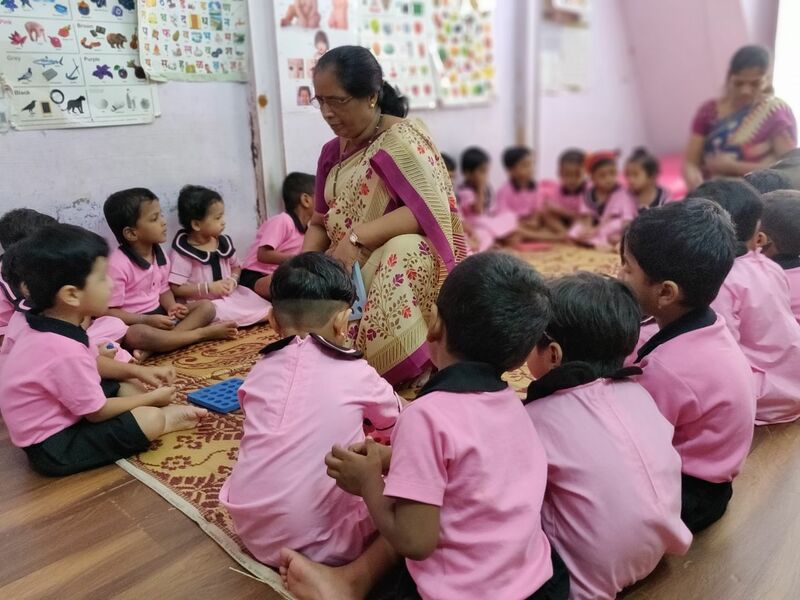 Swati has been a teacher for 16 years. She shared with us how she had to overcome tremendous opposition from her family and her in-laws as well as she pursued a teaching course. However, that did not stop her and she has been teaching since 2002. A true inspiration, at the age of 52 Swati is still learning—she is in the third year of hers studies in Marathi. She is very happy to be teaching the children of our Balwadi project—she understands the impact she can make in shaping their futures. Swati believes that her life has prospered after she started working with Mumbai Smiles. We hope that she continues to work with us and life showers even more prosperity on her.